This marks my second outing fly fishing the Feather River at Riverfront Park. The day was a bit breezy but the temperature was perfect for some good outdoor time. After doing a bit of thinking about what the fish liked and didn't the previous trip, I tied a few clousers and a couple of carp flies in hopes of hooking up big. Since I know where the fish are already, I set out to refish the areas where I found fish and made plans to explore the northern end of the park. 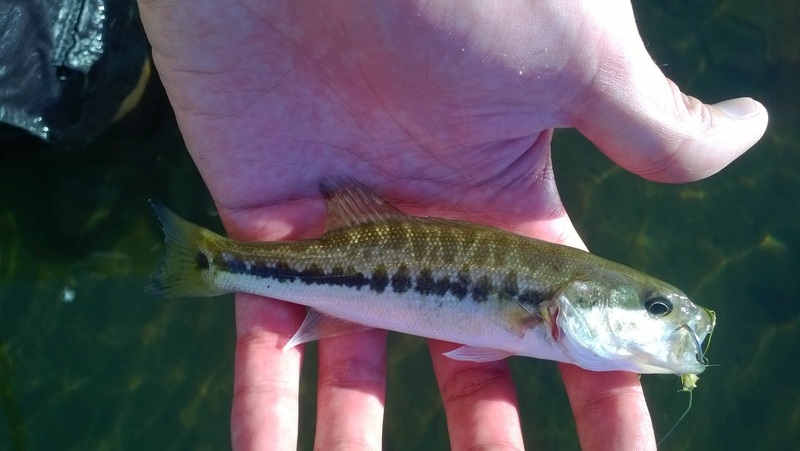 The first half of fishing the areas that I knew had fish was very slow. The bass weren't aggressive and the carp weren't eating. I didn't spend much time here since nothing was really happening. After about 30 minutes I left and started to explore above the bridge. There is a run below the bridge where anglers target salmon. I've yet to see a salmon pulled out of there this year but the place gets hot and crowded when they are around. For about another hour the fishing still very slow. No flies seem to be the ticket as the fish would just follow them but not take. 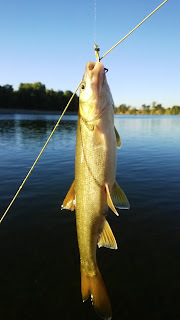 Although I had a few eats from a few small bass, the first decent-sized fish I manage to catch was a pike-minnow. There seems to be a lot of pike-minnow in this section of the Feather river. After doing some thinking about why there weren't any fish eating, I concluded that it was must be the substrate that I was fishing in. 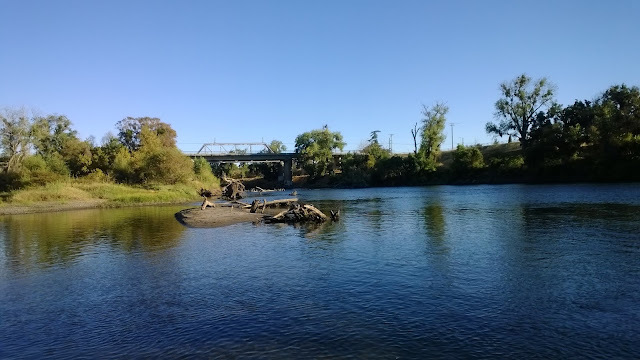 The Feather River around Riverfront Park is primarily made of sandy beaches with some aquatic plant growth and fallen trees. The current is walking-pace and mostly wadeable from the bank. From what I've discovered, the small fish like hang out in the areas where there are plants or fallen trees despite the sandy bottom. The big fish like to hang out around rocky bottoms at a depth of about 2-3 feet. The bigger fish also don't seem care whether there is adequate cover or not. Putting my theory to the test, I found a place where the bank and bottom was mostly made of boulders and rocks. 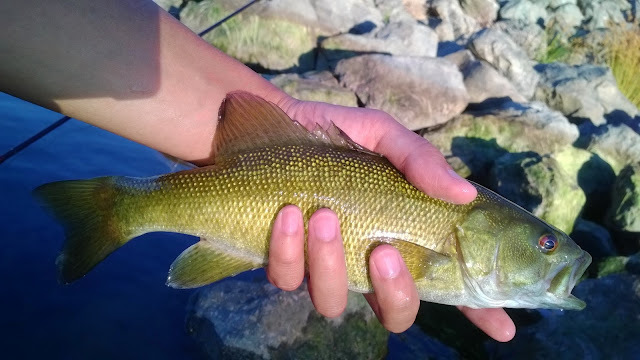 After a few casts I found that the bite was hot and I caught several smallmouth here until sunset. Bing Bang Zoom! Right in the mouth! Although I didn't catch any lunkers, I know they are there. Someday I'll get one.